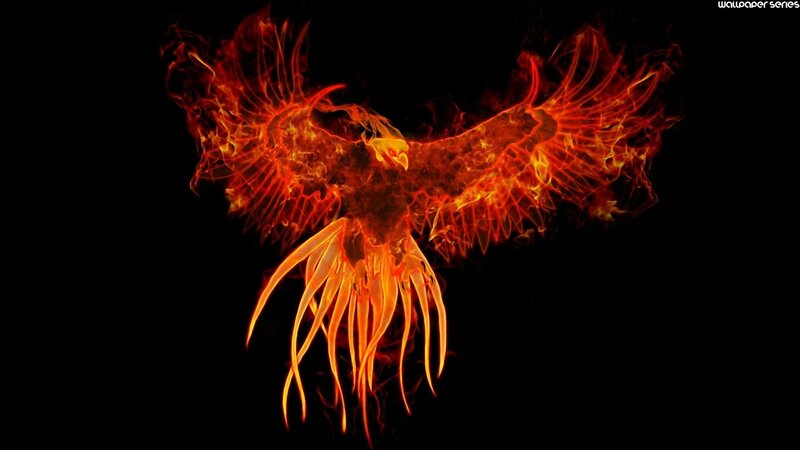 In the Greek mythology, a phoenix is a legendary long lived bird that is cyclically reborn and regenerated. After the December 2014 general elections, very few would have predicted a comeback of the Labour party. Some of the most pessimists even went as far as saying that the Labour party was dead and buried. However, the fact remains that such a big party which also happens to be the oldest political party on the island cannot be so easily discounted. Those who have made the mistake of overlooking and scorning the Labour party must surely be biting their fingers now. Like the phoenix, the Labour party is slowly but surely resurfacing and is placing itself as the alternative government for the next general elections. The current regime was very quick to embark on a witch hunting program after December 2014. Many chairmen, board members and other nominees were sacked and replaced by new persons supposedly sharing the same vision as the current government. More so, the police force which falls under the aegis of the Prime Minister’s office also humiliated those people in some cases. Who does not remember how the chief engineer at the Ministry of Public Infrastructure was treated. He was chained to his hospital bed like a vulgar criminal. Moreover, how the chairman of the Equal Opportunities Commission was handed his contract termination letter in the early hours of a Sunday morning , how the DPP was subject of a coup in an attempt to replace him with one of theirs, how the lawyer Tandrayen’s documents were seized at the airport! Anil Baichoo, Rajesh Jeetah, Vikram Bhunjun were among those who were also troubled by the police. The BAI saga is yet another blatant example. There are so many other cases which did not hit the headlinesfor one reason or another but which certainly were the aftermath of a vindictive political vendetta. Those who changed political color at the last minute, however, were spared from this tsunami and some were even decorated with national distinction while others still were nominated on various boards and in some organizations. The enemies of yesterday had all of a sudden become the friends of today. A bon entendeur,salut! This is alas the sad story of our country. What about the leader of the labour party in all that? The ex-Prime Minister, the one who has been at the head of the affairs of this country for 14 years, was no exception to the rule. The images of his arrest speak for themselves. We live in a country of law and one is deemed innocent until and unless he or she is not charged guilty by the court. NavinRamgoolam was already the victim of a press trial then and even today by the way.Tell a lie once, no one will believe you, but tell the same lie a thousand times, the world will believe you. Many citizens, also victims of this brainwashing, already convicted him. Nonetheless, you can fool a few in some instances, but you cannot fool everyone all the time.In the words of David Brinkley, I quote, ‘A successful man is one who can lay a firm foundation with the bricks others have thrown at him’, NavinRamgoolam has faced all these pressures undaunted and has come out stronger than never. One by one, his cases are being dropped and masks are unfolding. Today, it is becoming more and more clear that most, if not all, the cases which have been piling on the former Prime Minister were nothing more but mere political vengeance. I shall not comment further on his cases as these matters are in court. Coming back on the Labour revival which we are witnessing these days, what is it that triggered such a rapid and unexpected political resurgence? Thing is that the Labour party partisans never really left. Those who did vote for the Lepep coalition for various reasons have still a weak spot for the Labour party and today the nostalgia is reviving especially after the disillusion we are currently living in.Nearly two years have lapsed since the last general elections and the government is still buying time to implement the projects they have in their pipeline. The dreams which the Lepep coalition once sold to the population now seem a political marketing which will not materialize. On top of that, there is a leadership crisis which is constantly nagging the government in their daily actions. The inability of the prime minister to decide in many cases is a known fact and the perpetual brawls among MPs are not simplifying things. The amateur styles of operation of many MPs have come to daylight. In line with my previous article ‘working to feed’, the appetite of the MPs are ever increasing and since hibernation (Bears have to eat before hibernation) is not far away, the feast is going on stronger than never. The Labour party itself was very vulnerable a few months following Dec 2014. ‘Tout nouveau- tout Beau’, the newly elected Lepep Government sent a ray of hope within the population, that of a new beginning and of a new orientation. The Labour party was hit by a leadership crisis then. The once uncontested and enigmatic Labour party leader’s position was questioned by many and was the talk of the town. Things were not looking good for the party. Nevertheless, that episode is behind us now and today as we speak, it is a secret to none that NavinRamgoolam is and will remain the leader of the Labour party. Then came the game changing gathering at Kewal Nagar in 2015! Life is not about building walls and hiding behind them. Certainly not in politics! It’s about breaking them down and expanding beyond them. The Labour party remaining soldiers and diehards realized this and went on a country wide pilgrimage, rallying the masses and inviting them to Kewal Nagar on the occasion of 115th birth anniversary of late Sir SeewoosagurRamgoolam. The gathering was indeed a huge success; a somewhat unexpected one also considering the heavy defeat which the Labour party had just been through. It lifted the morale of the troops and from thereon, in all constituencies the revival motto took a real meaning. Between that day and today, the Labour party organized many meetings in almost all constituencies and the crowd pulling factor has re-emerged. Deceived and disappointed by the government actions or inaction I should say, many of the ‘vire-mams’ are returning and the Labour party is gathering momentum day in and day out. Unlike the MMM which has far more MPs than the Labour party in Parliament and which is capitalizing mostly on its weekly press conferences to denounce the negatives of the government, the Labour party is walking the talk in every nook and corners of the country. By the look of things, no other opposition party can today organize and gather so many partisans at one go and in such short lapses of time as the reds can. The recent come back of their leader in Triolet is a showcase of that. In between was the party’s 80th Anniversary gathering at Reduit. As the days pass by, this resurgence of the party and the pace of the comeback of those who left will go on increasing crescendo. Surely, the return of those who were gone will create a lot of frustration among those who did not leave, especially if the returning ones are taking up huge responsibilities once back. However, like a true leader, which he is, NavinRamgoolam will certainly know how to handle the situation and his troop by recognizing the efforts of those who never left. Never mind, the Labour party will surely need all its soldiers whether returning ones or existing ones in its quest to re-capture power. The once ‘vire-mam’ adage which was so famous has now turned into ‘Devire-mam’ and this has become even more viral. Someone has rightly said that one day is an eternity in politics. Things can change rapidly. As of now, the Labour party is placing itself as the challenger for the next elections. Until then, surely much water will flow under the bridge! When the game of alliances and ‘coz-coze’ will kick in, god only knows what will happen. Until then, let’s wait and see. There is nothing more we could do anyhow. The country is desperately looking for a change. The sooner the better! Can the Labour party live up to those expectations?